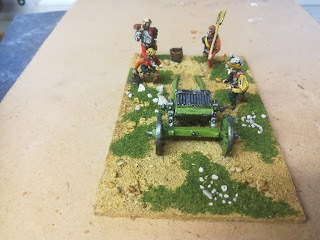 Back in the distant day of the 1970s,pre Thatcher, before mobile phones or home computers no internet just cefax and books there were already various ranges of gendarmes and landsknechts about, minifigs,Ral Partha both 25mm and the slightly larger hinchcliffe range. Last challenge,no the challenge before (how time flies!) I painted some hinchcliffe gendarmes and Curt was kind enough to paint one for me following our Rennaisance duel. 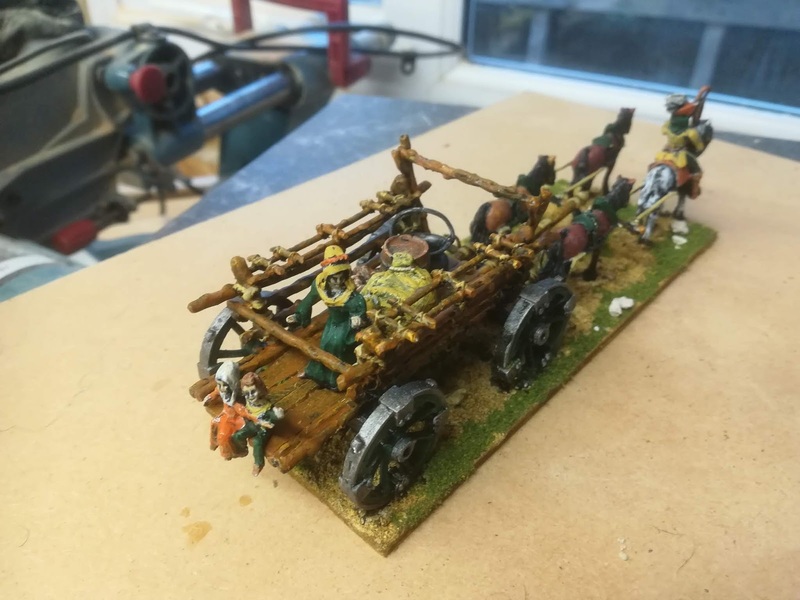 What we have here is a great fun little model of a wagon for the Great Italian wars,a German peasants wagon based on a contemporary woodcut from the triumph of Maximilian. The model actually comes with the shoemaker,a chap with a wheelbarrow,three donkeys and a peddler. It's a pretty big lump of lead and arrived without the characterful waggoner,Ian Hinds (who now manufacturers hinchcliffe figures) was excellent in sending out a replacement as he was featured in the photo on the site but did not arrive, excellent customer service. 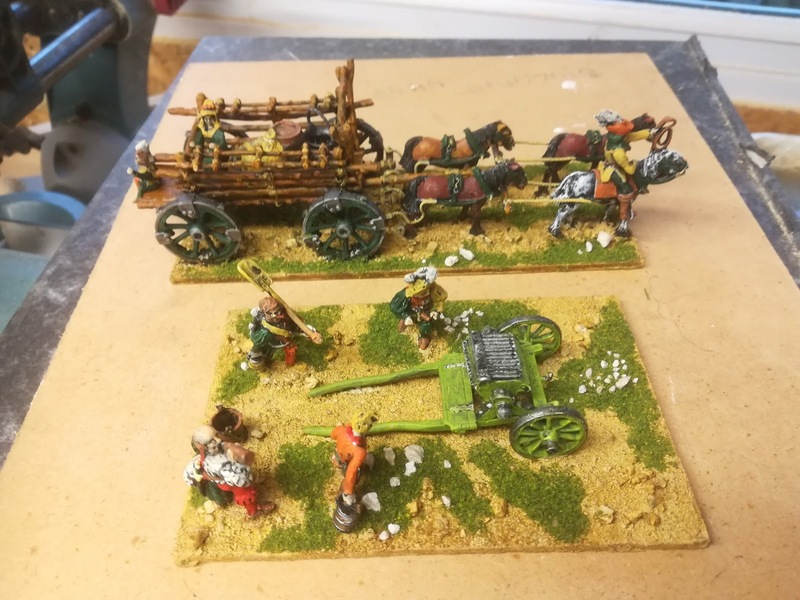 The load,children and lady in green are also part of the kit,I was reminded of the folk song"little sir Hugh" after painting her so I don't give the kids much chance if they end up anywhere that nobody can hear them scream! I do think that the design of the wagon is a little large,especially if you compare it to the Perry wagon I have previously painted, it's also a little odd that the superstructure appears to be made of branches and not joinery,having said that it seems a little churlish as there is something like 40 years between the two designs,it's also a really characterful piece. 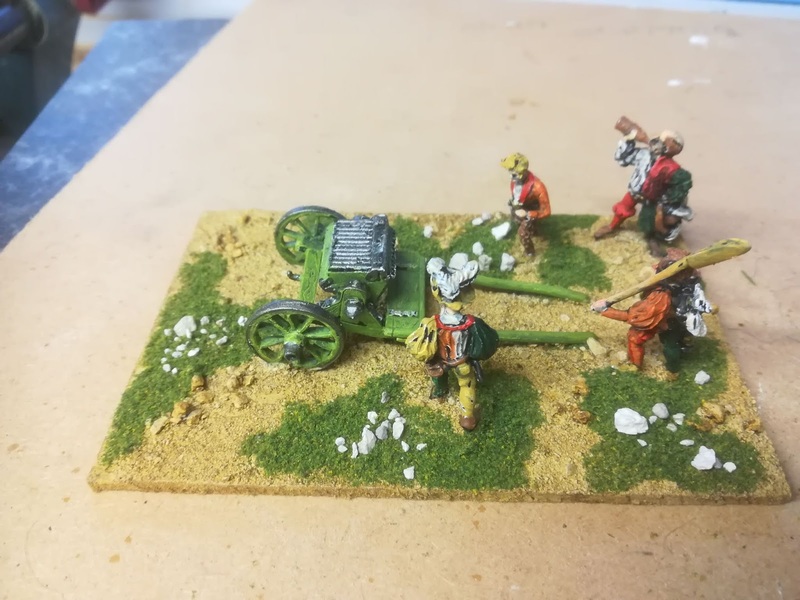 The organ gun is another hinchcliffe piece as is three of the crew, the fourth ,the portly chap slaking his thirst was part of an eBay purchase so I'm not that sure,maybe redoubt? 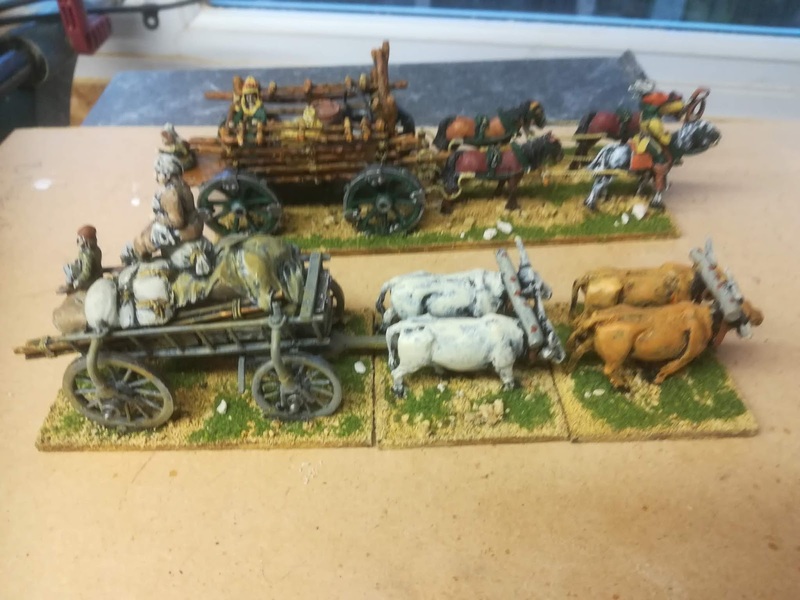 That's both the bases I've done this week, the gun and a gun I did for a previous challenge actually came with a two horse,four wheeled wagon,so I have those yet to do! Hinchcliffe,or Ian Hinds are going to have a sale in February,worth checking out,certainly for wagons and guns! I think this adds up to 4x28mm horses,6x28mm figures and 2x 15mm for the children? 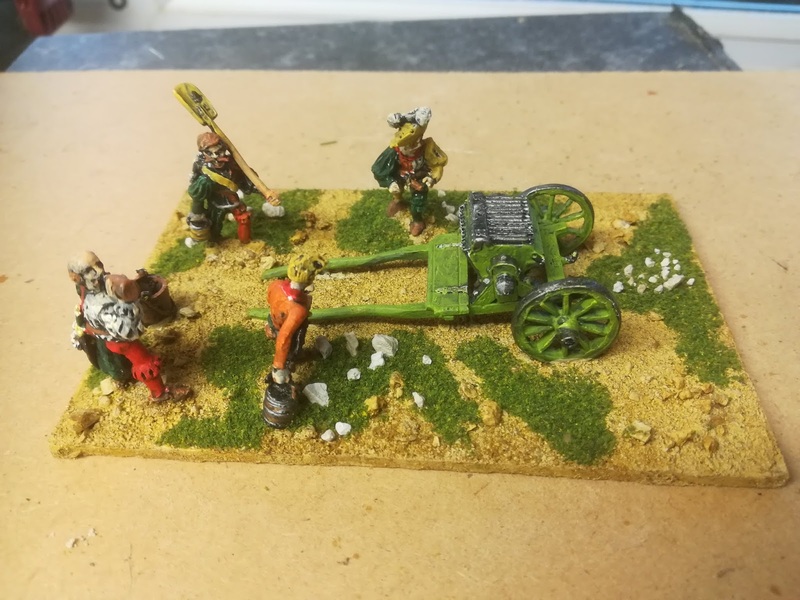 The gun is a crew served weapon and the wagon is I guess a 28mm vehicle? 84 points? Some period appropriate terrain next, oh and I guess these should count towards the Rennaisance duel too. Wow, those are some classic looking pieces, Iain. 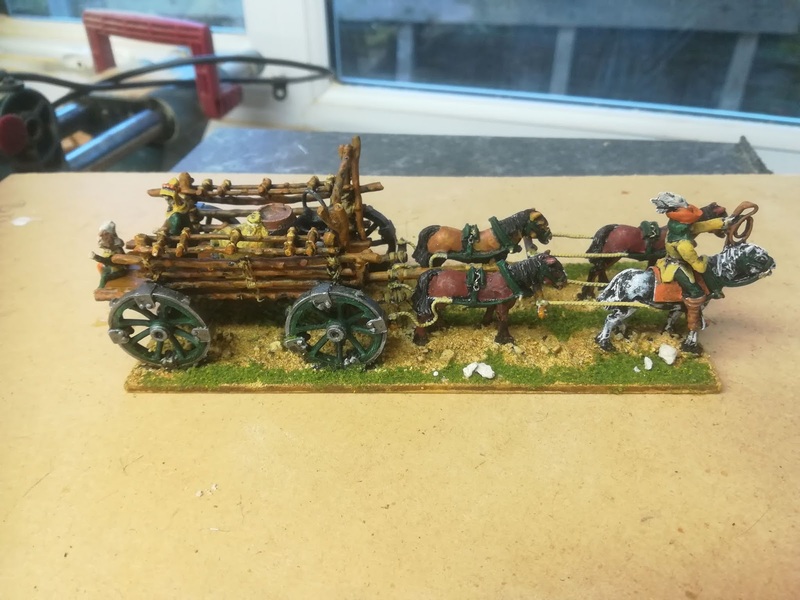 Love the wagon and figures that come with it. Thanks Dean! I think classic sums them up! 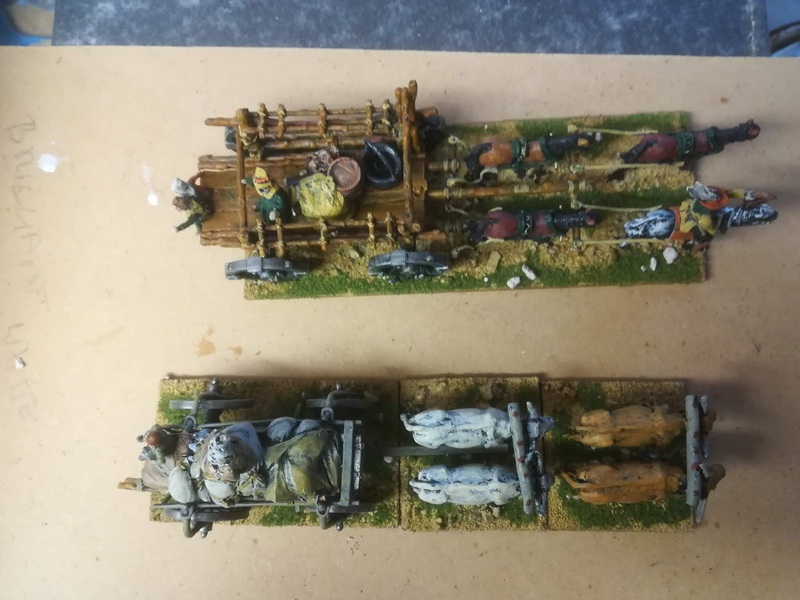 Wonderful wagons and organ gun, congrats!! Thanks Phil! Nice bits and bobs! Two great pieces, Iain! 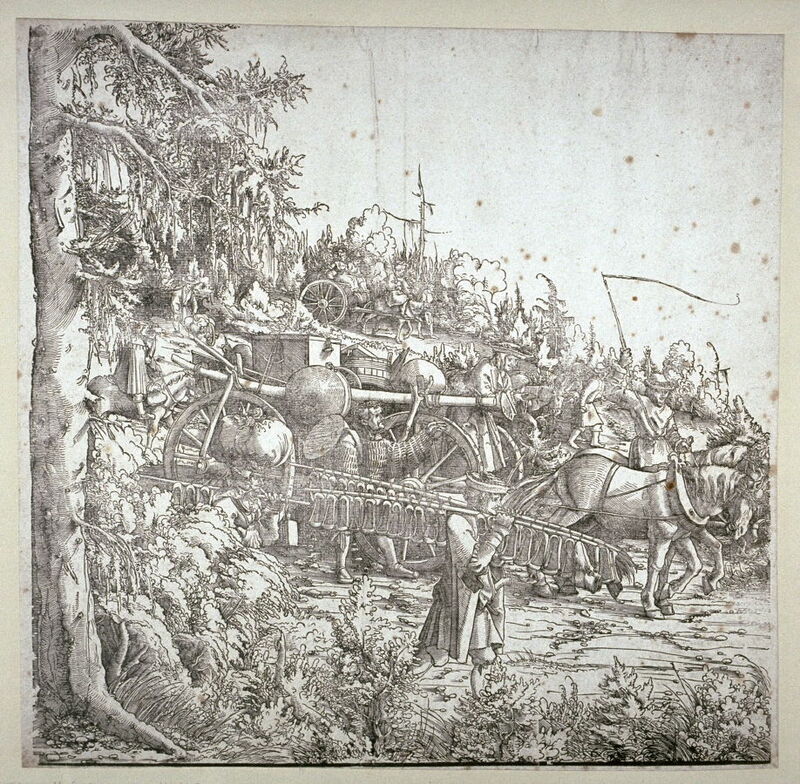 The wagon and figures is really a nifty and large piece. You racked up the points on these entries! Thanks Jonathan! Not too many points, I'm a bit behind but plodding on! Thanks Norm! Rustic wagon, certainly! I think it's hot going on those guns in Italy! I do like the old Hinchliffe wagon set - as you say, it's got bags of character. It always tempted me to do something for the Renaissance period but perhaps a wagon wasn't enough of an enticement. The closest I've come is Hinchliffe ECW and of course the delightful ox-drawn mortar wagon. Thanks Rob! Yes I liked the ox drawn mortar wagon too! Thanks Stew! Nice to have these additional little items. Great looking bit of kit Iain and very well painted as well! Thanks Oli! Yes I thought he had the Redoubt look! Both pieces are charming, each one in its own way. I think you made a pretty nice work! Thanks Suber! Glad you found them charming! Nice work Iain, and Hinchliffe certainly brings back memories. I stil have an 1815 British Army tucked away, and can remember them towering over their Minifig opponents. Thanks Lawrence! Yes big for the period,although their ECW are quite a bit smaller. Very nice work on both the wagon (it has to be big to haul all of that character) and the organ gun and gunners/guzzler. Great stuff once again Iain. I really like all the old Hinchliffe wagons, painted a few myself for the ECW's and they are still fine castings, full of character. Lovely work. Thanks Lee! Yes very good castings even after all this time! I’ve always liked that Hinchcliffe wagon. Thanks Aly! 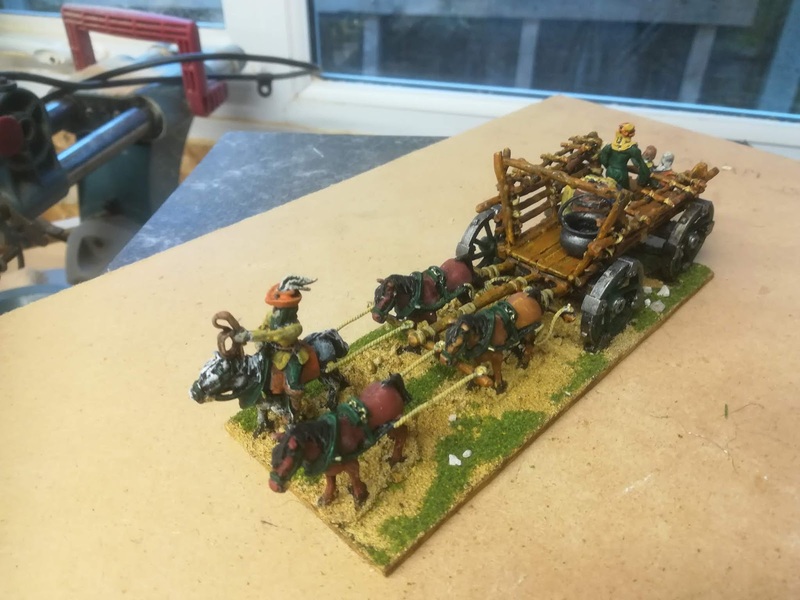 It's a fine old wagon! Excellent wagon and artillery! I still have Hinchliffe figures in various armies. Thanks Cyrus! They've got a decent sized range for sure! These look great and they're huge ! They may be oldpieces but they're not showing their age. Thanks Joe! They are, the wagon is about the same size as a warlord T34/85! They're still great fun though! Very nice additions, Iain! I Have that same Hinchliffe organ gun in my collection as well. Thanks Pat! They're definitely worth a look,especially for kit. Very characterful wagon Iain - I have a few Hinchcliffe Napoleonics and to be honest, I do not think they stand the test of time very well - and even back in 1978, I preferred Minifigs to Hinchcliffe - but their equipment was always rather nice, and the horse and figures with this wagon don't seem too shabby either! Thanks Ross! There seems to be differences in the different ranges, the ECW range are quite small whereas the Renaissance range are comparable in size to current 28mm figures,I do think the Minifigs are better anatomical sculpts but there is a certain character to the hinchcliffe ones! I got this cart back in the day but without the civilians. Can't remember what livestock it came with......it still lavishes in a box somewhere unpainted to my shame. The Landsknechts were some of my earliest miniatures when they first came out. Nice to hear from you David, It's a good kit ,it's taken a few years to make it to the front of the que to be honest!